One night the power goes out in Spokane, Washington, and apparently much of the surrounding area of the country. The following day, the quarterback of the local High School football team Matt Eckert (Josh Peck) is awakened by the walls around him shaking. He and his brother Jed (Chris Hemsworth), who is a veteran of the war in Iraq run out of the house to investigate. They are shocked to discover planes flying overhead, parachutes falling from the sky carrying heavily armed North Korean soldiers, and their city under attack. They flee in Jed’s old pickup truck. The streets are littered with residents of the city running for their lives. They dodge bullets, explosions, and drive through and around flames as they try to escape to safety. In the midst of it all, they almost collide with their father’s police car. He had been out the night before dealing with security of the city during the power outage. Their father orders them to get out of the city and to their cabin in the woods. On the way to the cabin they join up with some friends and they witness other friends and their families getting captured or killed. The cabin becomes one of many different places where they hide out and take refuge. They scrounge up any weapons and food that they can find and come together as a group to fight back against their attackers. With Jed as the leader, they call themselves the Wolverines and carry out missions to try to weaken the North Koreans and save the city and its captives. This is an updated remake of the 1984 film of the same name. In the original version, a small town in Colorado was under attack by the Russians. In the 2012 version it is suspected that the North Koreans had help from the Russians to attack the U.S. This new version is an entertaining action film that keeps your attention throughout. The actors in the movie are mostly younger adults who are more known for the movies that they have been in, rather than being recognized for their acting ability. 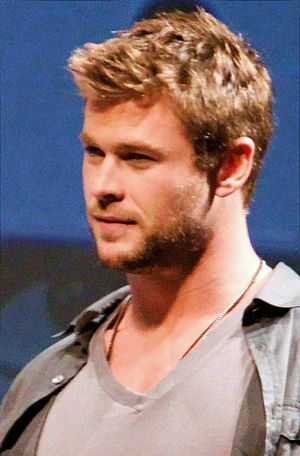 The most popular actor in the movie is Chris Hemsworth, who is more known for role as Thor in the movie Thor (2011) and The Avengers (2012) than he is for his ability to act. With that being said, this is the type of film that relies more on story and action than it does on acting. The actors do not get much of a chance to act before they are thrown into a battle of life and death. It is my opinion that a few of these actors are still developing their craft and may one day have a breakthrough role that boosts them to real stardom. The story concludes very abruptly and almost too conveniently, leaving the viewer with a few questions unanswered. Overall it was a fun movie to watch. It was interesting to see which direction the updated version would take in comparison to the original 1984 version. By keeping the story localized and not showing what was happening all over the country, it made the story more believable and therefore more enjoyable. The movie is worth seeing in the theatre and will definitely be worth catching on DVD. 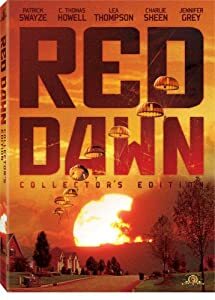 I rate Red Dawn (2012) a 7 on a scale of 1-10. Posted on December 4, 2012, in Action Movie Reviews and tagged Action Movie, Chris Hemsworth, Josh Peck, movie, Red Dawn (1984), Red Dawn (2012), The Avengers (2012), Thor (2011). Bookmark the permalink. Leave a comment.